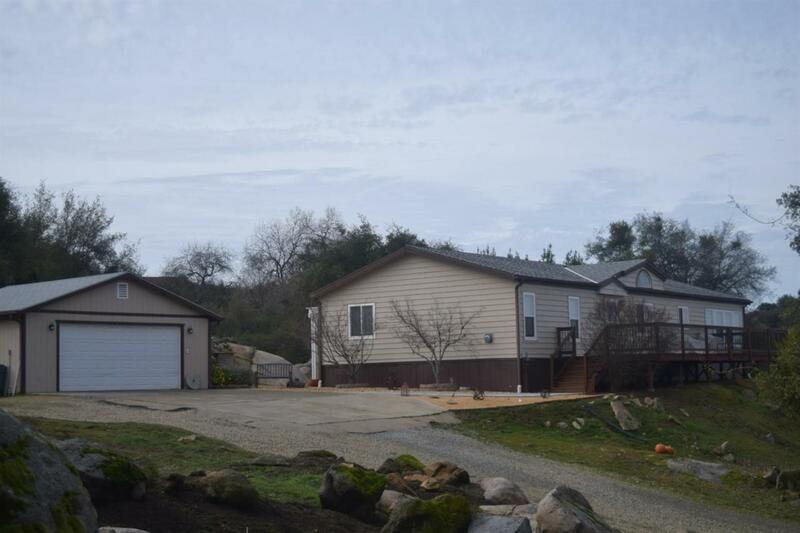 Very nice manufactured home in upper Squaw Valley. This is an easy commute, located close to Dunlap Road. The home sits at the back of the property to offer privacy, as well as great views that you can enjoy from the oversize front deck. There is a very nice entertaining area at the back of the home with a pergola and built in fire pit and some amazing rocks. 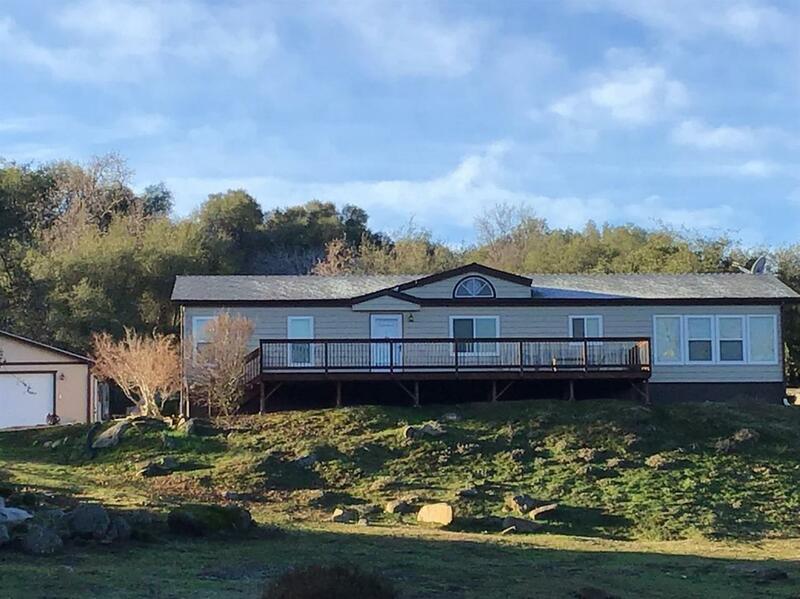 The property has plenty of open space to enjoy as well as some privacy from the road and pasture for animals. The perimeter of the property is completely fenced and gated. 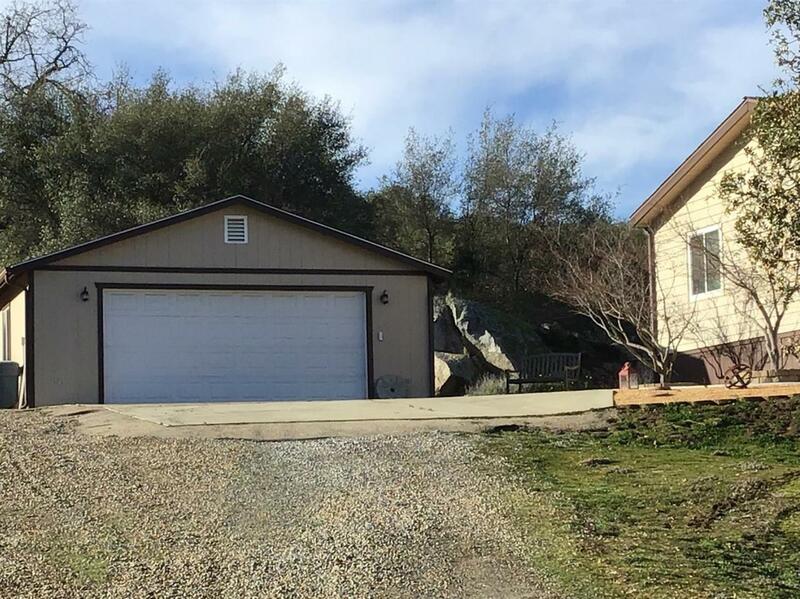 The garage is detached with room for three cars or two with a work area. There is also a separate storage building for yard equipment, tack, etc. There is an electrical hookup for an RV. The home is also set up for a generator so that would be an easy add if desired.